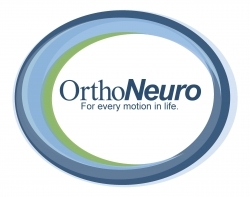 OrthoNeuro will add two experienced Board Certified Orthopedic Surgeons to team of 28 distinguished physicians. Columbus, OH, March 15, 2019 --(PR.com)-- To further serve the greater Columbus area, OrthoNeuro will be adding two additional Orthopedic Surgeons to its team in April of 2019. J. Mark Hatheway, MD and James C. Cassandra, DO will begin treating patients in the Grove City, Dublin, and Grandview offices in April. Dr. Hatheway is a native to Ohio and graduate of The Ohio State University. He completed his post-doctorate training at the US Naval Hospital in Philadelphia as well as a residency at the Medical College of Ohio in Toledo, Ohio. Dr. Hatheway specializes in total joint replacement as well as arthroscopic knee and shoulder surgery and treats patients with muscle, bone and joint injuries using both non-surgical and surgical options. Dr. Cassandra graduated from the Ohio University College of Osteopathic Medicine in 1999. Following this, he completed his Orthopedic Surgery Residency at Grandview Hospital in Dayton, Ohio and a Hand and Upper Extremity Fellowship at the University of South Florida in Tampa, Florida. Dr. Cassandra specializes in hand and upper extremity conditions in addition to general orthopedics. OrthoNeuro is a dedicated team of orthopedic and neurologic healthcare professionals committed to providing the highest quality specialty care in Columbus, Ohio and surrounding areas – and doing so with compassion and understanding. Our board-certified physicians specialize in orthopedic surgery, spine surgery, neurology, podiatry, physical medicine & rehabilitation. OrthoNeuro currently has 7 locations throughout greater Columbus, including our newest office in Grove City.